Here’s my annual Eeenie, Meanie, Minie, NO picks from Oscar Night 2011! First of all, IF you made it all the way through what could’ve been one of the most tepid TV broadcasts ever, I salute you! – Johansson: a very gorgeous color in a very gorgeous style with subtleties that amuse and enhance the Feminista! – Blanchett: the heavy beaded upper breast-plate thingie that made it look like draperies/valence. Li-lack. But back to the show – was it just me or did the attempt by the producers/writers to bridge the Gen Gap fall so flat it ended up being just an ironic glimpse into the actual State of the Communication Union ala 2011? And Franco, dude, next time (? ), show up for rehearsals and drink some Red Bull, eh? I’d rather Justin Timberlake hosted. OR Sandra Bullock. Or RBrand? Like many of my peers, I’m slightly dazed and still spinning from Tuesday. Que? Well my pretties, Chicago has a new Mayor and things are standing on their ear. I spent much of the day yesterday working on election coverage. From the moment I ran out the door into a snowstorm, I knew it was going to be One of Those…. One of those days were the weather is just bad enough to snarl the traffic and make you late. One of those days when you didn’t drink enough coffee so when you notice that you are hatless and the wind is nipping at your ears it provokes a kind of forensic desperation to do something, anything, to try and shield yourself from the elements. You dig through your bags. You cycle through the Nine I am not kidding Parka Pockets. You check the floor of the car because the dark down there has swallowed up things before. And you are empty. Handy! 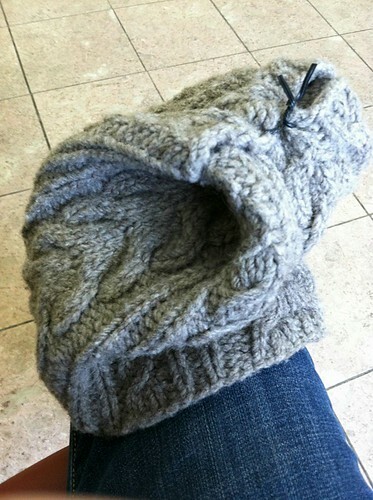 YOU are wearing your favorite cowl and you pull it up in your head like a headband and voila! Your ears are once again warm but what is that pesky cold poking on your scalp? Snow, sneaking. And because, above all you are a geek, indeed a desperate geek, you rummage one more time because you’ve just had a eureka moment and you know somewhere there is the something in there that’s answered lots of SOS in the past! 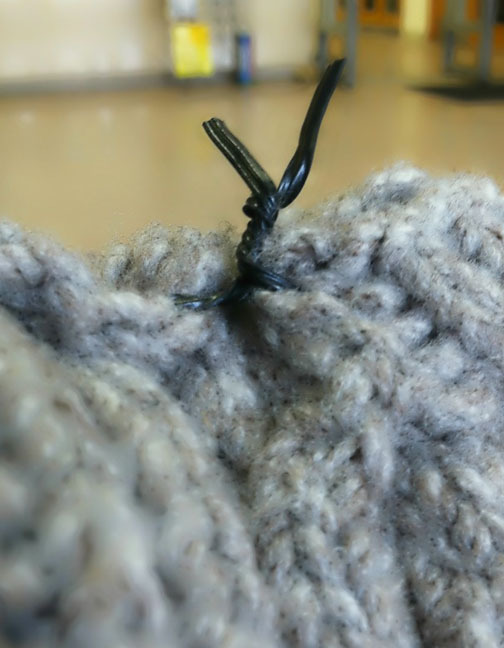 A lovely little piece of something that threaded through the folded cowl makes it A Hat! I salute you Tiny Twist Tie. 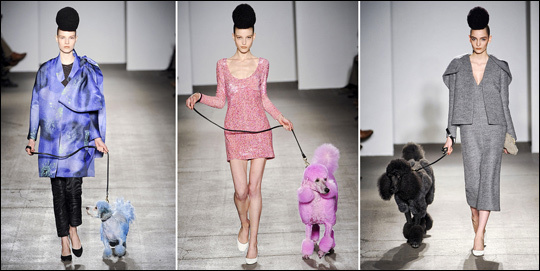 This week was the annual Fashion Week 2011 in Manhattan where loads of designers set their tables for Fall RTW. Isaac Mizrahi served up cake, candy-colored wardrobe, and decadent, chocolate caramel tipped nails.